Build your FREE bespoke wardrobe! Would you like to build your bespoke wardrobe free of charge? Good news: you can actually do that with our referral program! 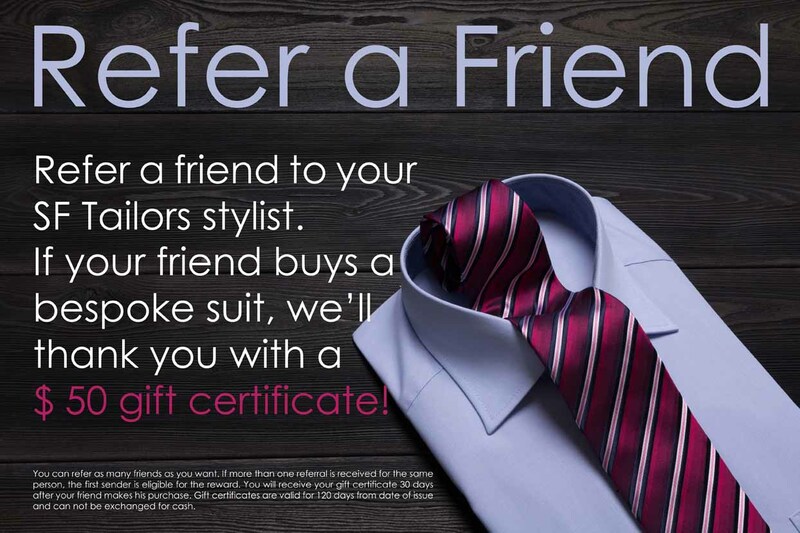 Your Stylist is Here to Help you! Feeling overwhelmed because of all the fabric and design choices? No problem, that’s why we work with personal stylists that guide you all the way. They can help you with all the choices and advise you on what is most popular and best suited for your taste and body type.